12oz. 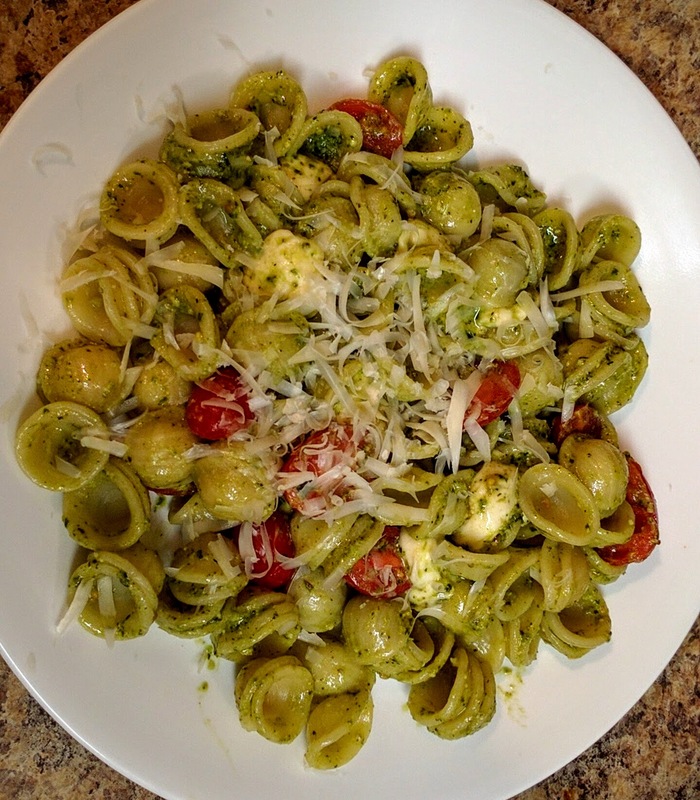 Orecchiette pasta shells. Can be substituted. Prepare a Pot with boiling water. Use salt. Once boiling cook the pasta noodles for 12 minutes or until done. While the Pasta is boiling cut the cherry tomatoes in two across it’s length. Also cut the Chillegine in half. When the Pasta has finished boiling strain off the excess water. Briefly cook the tomatoes and Mozzarella in the pan for 30 seconds before adding pasta back in. Add the Pesto Sauce and mix until the sauce is evenly applied.